As a lawyer I am naturally extremely excited to present the Bahamas Marine Mammal Protection Act. I guess it’s something that anyone engaged in sea or ocean activities of almost any kind should be acquainted with. I won’t pretend that it’s a riveting read, but of the 12 pages, one is blank and 2 can be skipped, so you’ve done 1/4 of it before you have even started… The provisions are self-evident common sense to anyone with the capacity for rational thought, but in case of doubt, here is chapter and verse. A naturalist’s account of his visit to Abaco in 1886, describing the landscape, flora, fauna of the main island and cays. 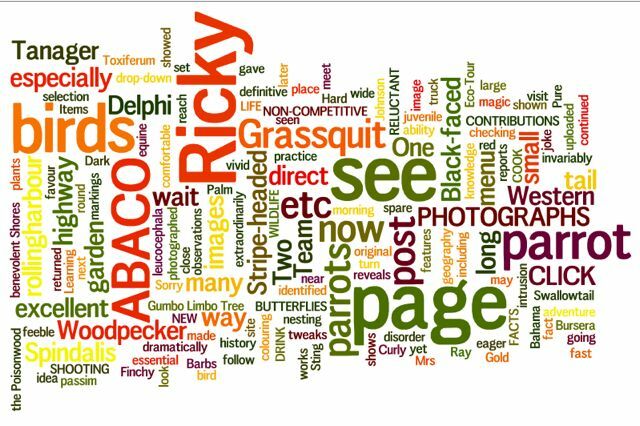 Plenty for anyone interested in Abaco’s natural history to get their teeth into! So I’ve found a place for it here. The 1905 Vol 22 No. 2 contains a 22 page study by Glover M Allen entitled SUMMER BIRDS IN THE BAHAMAS. 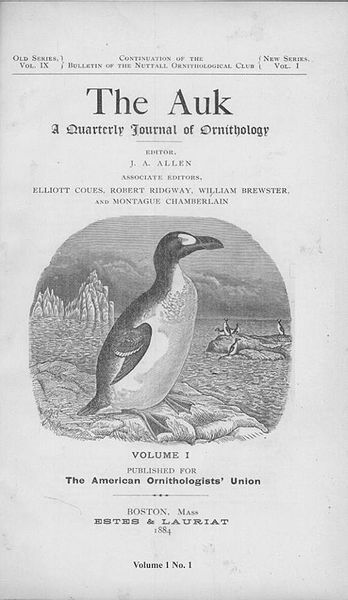 The article was published at a time when ornithological survey of the Bahamas was in its infancy. Cory’s famous list of birds collected from the islands had been published a mere 15 years earlier. 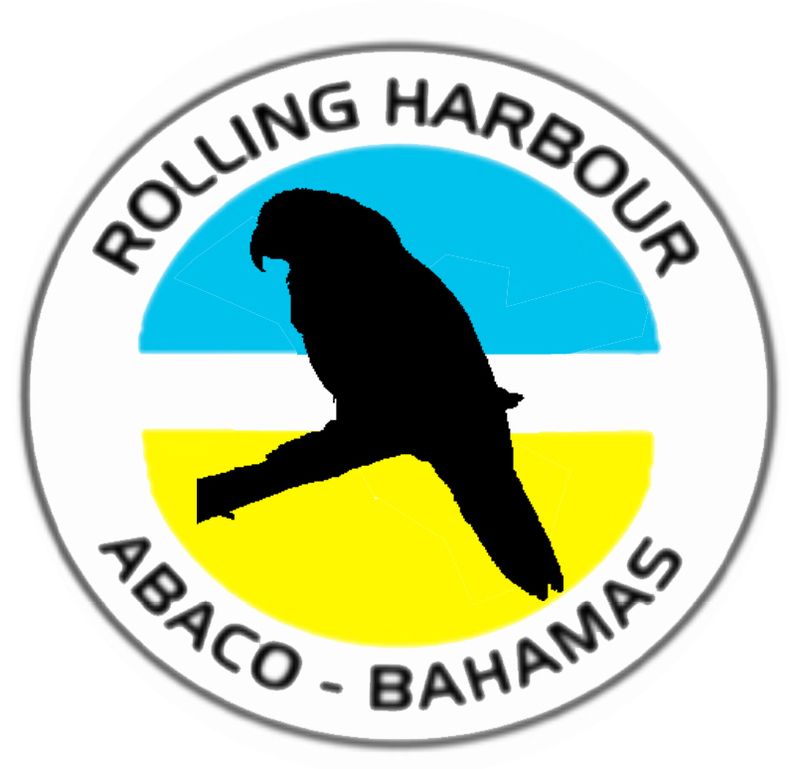 Allen details his time spent with 2 companions – much of it on Abaco – as they investigated birdlife and recorded their findings. That aspect comprises the first part of the article. 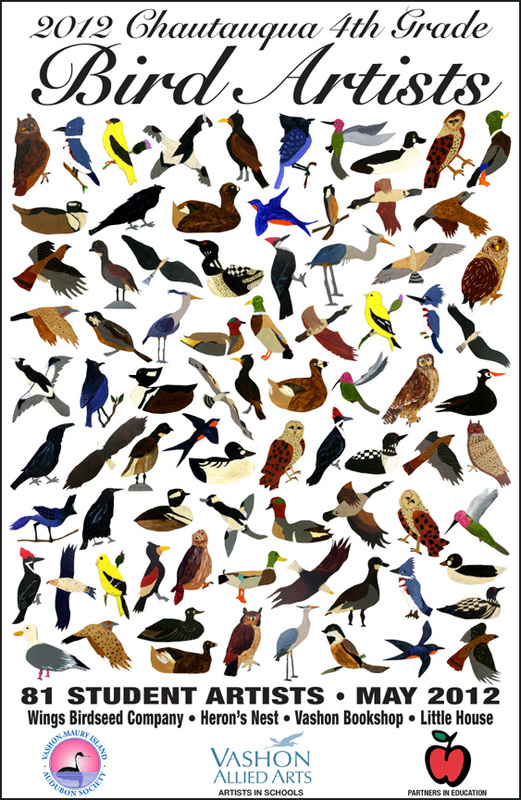 The second part is equally fascinating: their list of bird species, with commentary, remarks and comparisons thrown in, together with some of the local names for the birds. Some of these are still in use, others perhaps long-forgotten. Is a Least Tern still known as a ‘Kill-’em-Polly’? Click on the title above for a 2004 report by Nature Conservancy – Global Fire Initiative entitled “Fire Management Assessment of the Caribbean Pine (Pinus caribea) Forest Ecosystems on Andros and Abaco Islands, Bahamas”. Although published a few years ago it gives an interesting overview of the problems arising from the perennial forest fires on Abaco and elsewhere. It’s not maybe something a layman would want to scrutinise in huge detail, but there are plenty of interesting sections and photographs of varied forest conditions to focus on. 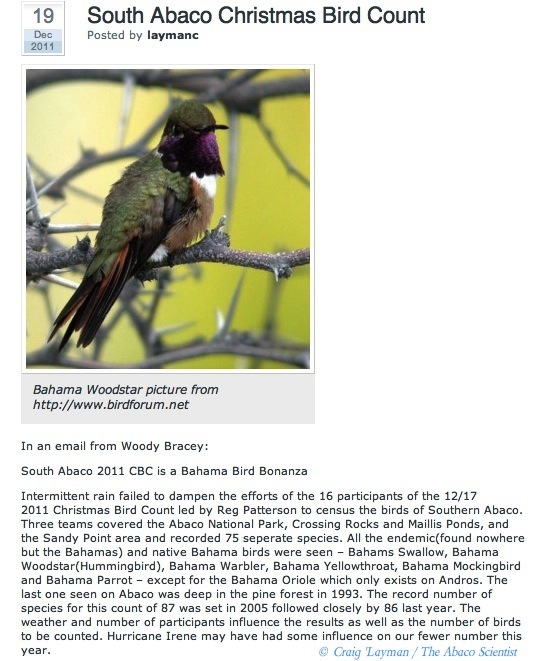 SOUTH ABACO BIRD CHECKLIST click to open!